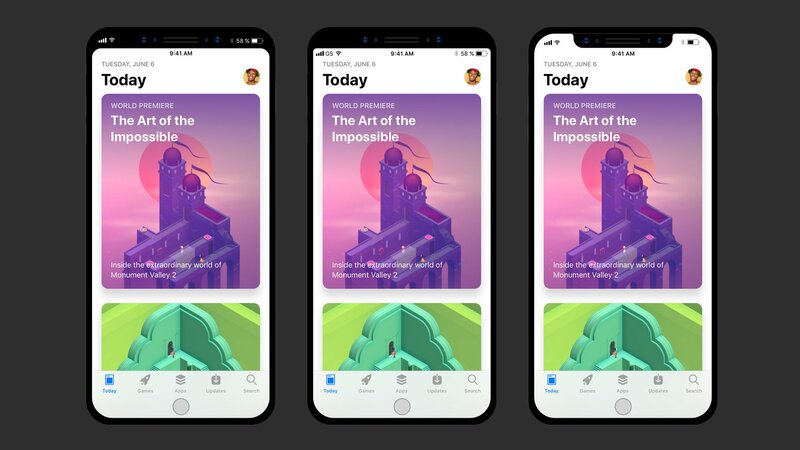 Taking Steven Troughton-Smith’s findings regarding iPhone 8’s resizable, auto-hideable virtual Home button and a split status bar on either side of a notch at the top of an OLED display, user interface designer Maksim Petriv took it upon himself to imagine how popular apps like Apple’s Music, Instagram and Twitter might embrace the notch and look like running on iPhone 8. 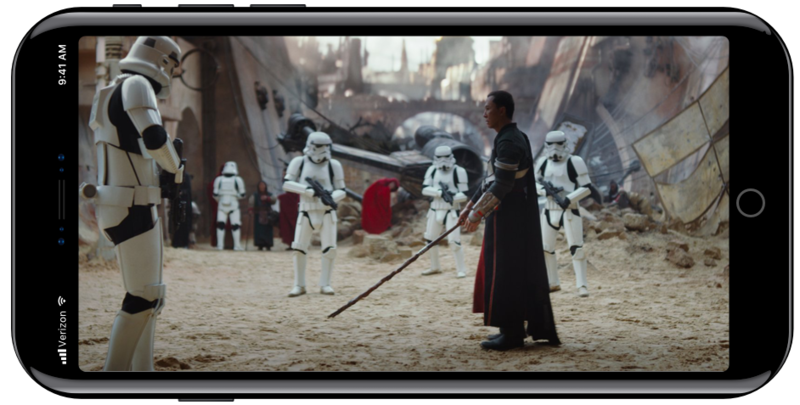 Below: three ways Apple could render apps while respecting that cutout at the top of the OLED display, which is required to house the front-facing camera and sensor hardware. Below, left to right: the Lock screen, App Store and Siri. If there’s a version of iPhone 8 white an all-white front face, this is what it could look like. 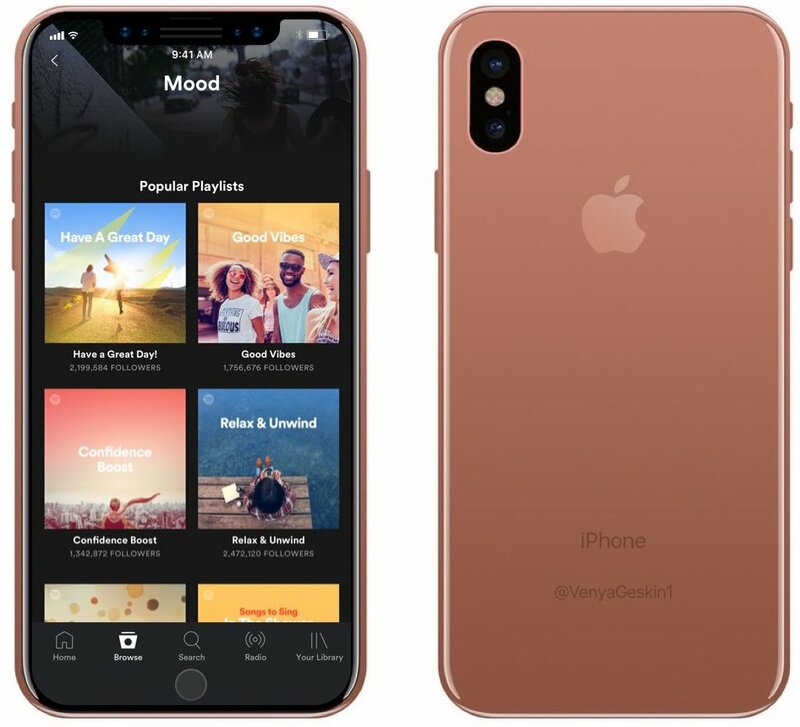 If you’re wondering what that rumored copper-like iPhone 8 finish might look like when paired with Maksim’s renderings, here’s your answer. 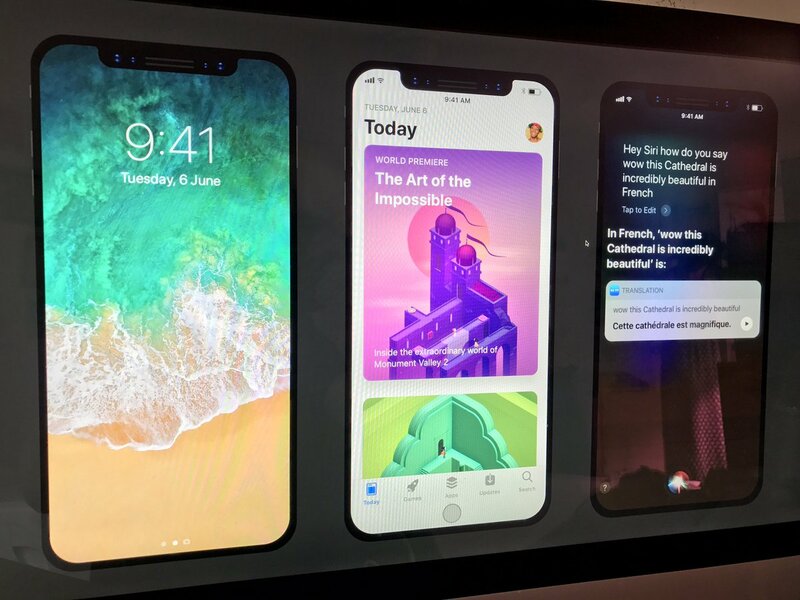 The Home button remains hidden when playing video, just as Troughton-Smith has discovered analyzing the HomePod firmware code, while the rest of media controls are visible. The Home button could also automatically disappear completely or minimize when playing games, something along the lines of this. 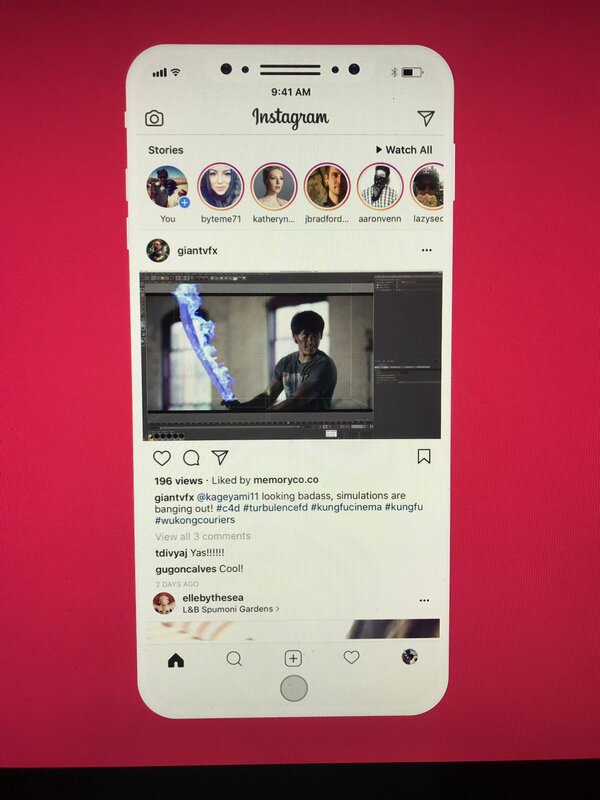 And lastly, Twitter user @Rutherling posted a video mockup showing how iOS 11 might look like on iPhone 8 without any changes to make the surrounding area bleed with the navigation tabs above the virtual Home button. 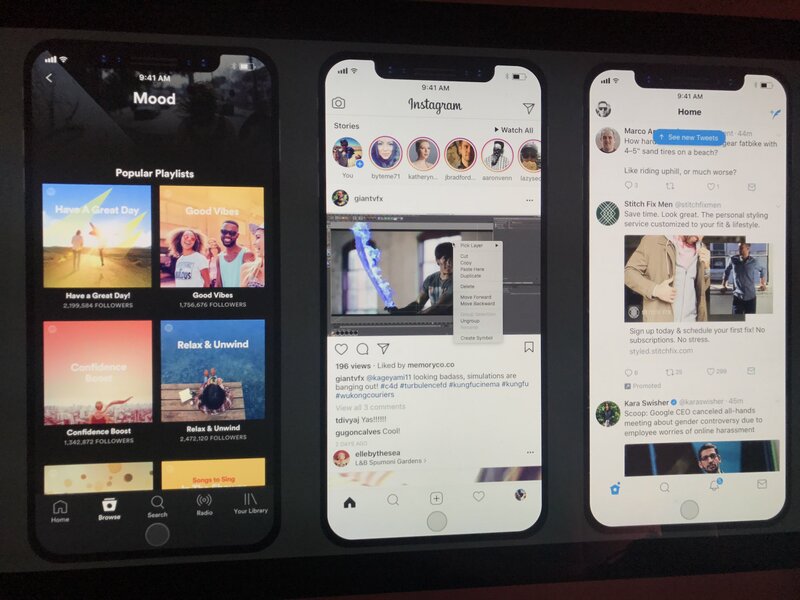 Just a quick note before singing off: Troughton-Smith said yesterday that the APIs he unearthed from the HomePod’s version of iOS showed evidence that apps would open in fullscreen mode. “Apple does like symmetry,” Troughton-Smith said today. 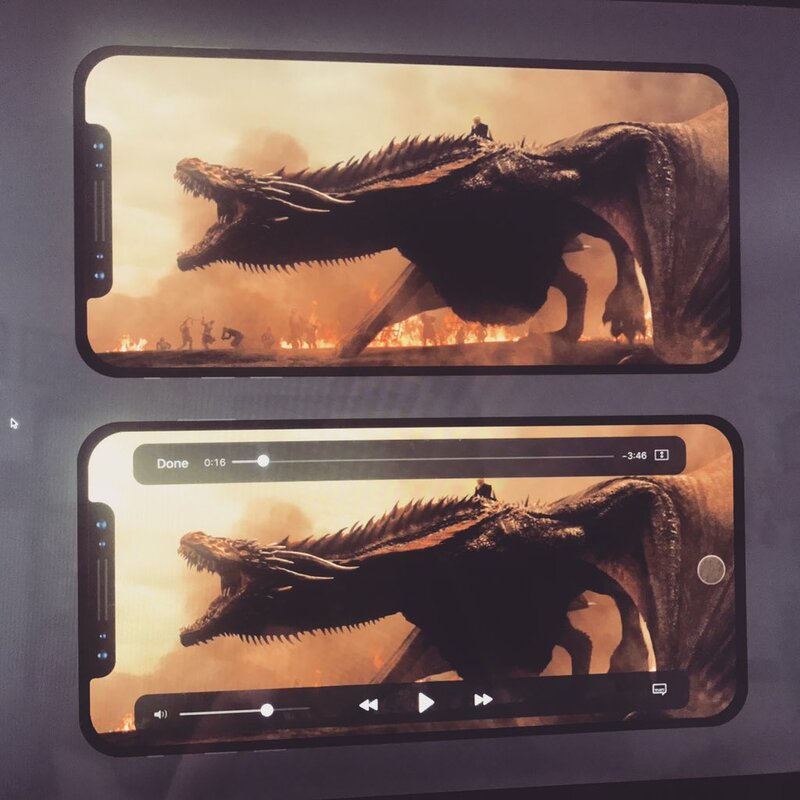 “If it weren’t for the iPhone glyph I might even suggest that the Home button could look identical to the notch,” he tweeted. “A notch on the top, and a notch on the bottom,” he added. How do you like Maksim’s conceptual renderings?